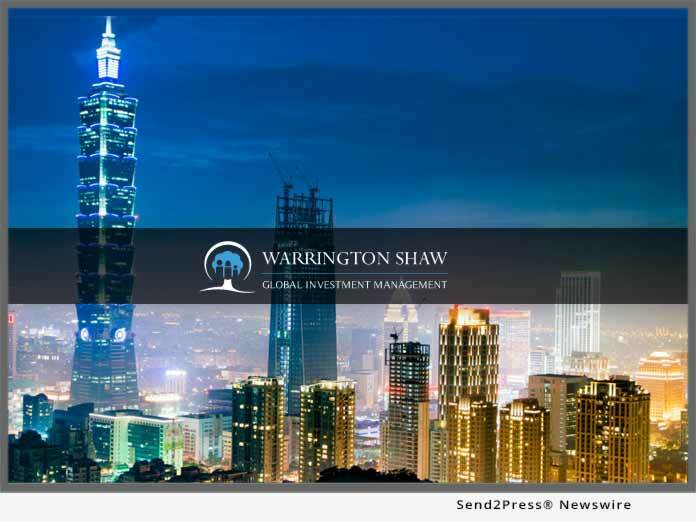 TAIPEI, Taiwan, Apr 15, 2019 (SEND2PRESS NEWSWIRE) -- Taipei, Taiwan based Warrington Shaw is pleased to announce that it plans to attend this year's Asia FundForum which will take place in Hong Kong. The three-day event will run from the 14th to the 16th of October and forms part of one the world's leading investment management events, the FundForum Series. FundForum Asia is an opportunity for investment managers to meet and network with people in the industry and showcase company brands. This year. FundForum Asia will bring together more than 150 CEOs and senior business people who will share knowledge and experience with attendees. "Last year's event was a resounding success that was attended by industry giants and experts in the sector. Unfortunately, we were unable to attend the 2018 conference and we are very excited to be sending a group of Warrington Shaw representatives to such a well-known and informative event this year. FundForum Asia is an excellent opportunity for our firm to participate in and benefit from the conversation around the future of asset and investment management in Asia," says Ms. An Tsao Head of Public Relations at Warrington Shaw. The event promises to tackle the unique challenges facing Asian investors, address client needs and discuss the increasing use of technology and its benefits. FundForum Asia is one of several conferences that Warrington Shaw plans to attend during the course of this year. "Conferences of this caliber are an incredible opportunity to network and gain knowledge about industry trends and we look forward to passing on the knowledge gained to our valued clients," says Ms. Tsao.